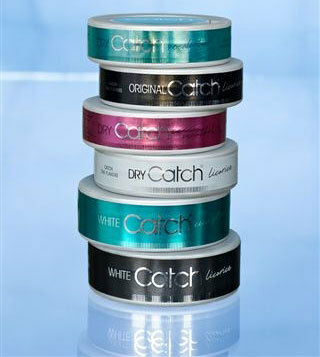 What type of Norwegians do you think are typical users of smokeless Scandinavian snus tobacco? A lumberjack, or maybe a fisherman? In recently published “Smoking Habits 2014” by Statistics Norway, the figures show that young adults, both boys and girls, are the most enthusiastic users and that “almost nobody” smoke cigarettes anymore. About 9 percent of the population use snus daily and the consumption is the highest in the 16-24 age group where every fifth person is placing moist powder tobacco under their upper lips. There are also relatively many users among the 25-34 year-olds, 16 percent. Although more young men are using snus than women, the use has become more common among young women. One in four young men is using the smokeless tobacco daily and one in eight young women. The total consumption of tobacco goes down. In 2014, 31 percent of the population smoked and / or used snus while the figures for 2008 were 36 percent. The decline is mainly because more people have stopped smoking. There has also been a decline in smoking among young people. Since 1973, the proportion of daily smokers has decreased by almost 40 percent. Now, only 5 percent in the 16-24 age group is daily smokers, and 12 percent say that they smoke occasionally. The majority of smokers are people over 45 years. In the 45-64 age group, one in five smokes daily and there are as many men as women who light a cigarette. In 2014, sociology professor Willy Pedersen and associate professor of psychology Tilmann von Soest at the University of Oslo, conducted a study of Norwegian 16-year-olds’ drug habits. The study shows a dramatic decline in smoking over the last ten years. – Snus is much less harmful than cigarettes. The risk factors by using snus are estimated to be only 10 percent compared to smoking. It would of course be nice if young people did not start using snus, but from a public health perspective, this is good news and an enormous difference from the situation ten years ago. There is every reason to celebrate, says Pedersen. In 1992, the EU banned the sale of snus after a 1985 WHO study concluded that “oral use of snuffs of the types used in North America and Western Europe is carcinogenic to humans”, but WHO has also recognized the evidence is open to doubt regarding health consequences for snus consumers. Only Sweden and European Free Trade Association-member Norway are exempt from this ban.